Zegrze Pomorskie has an unmistakable aura of a cold war era air base. 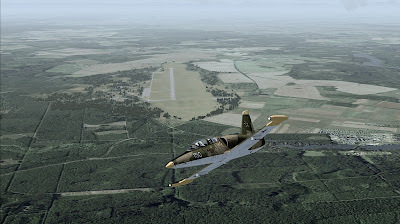 This scenery is perfect for a warbird and can be a good home for GA plane. It’s Free! 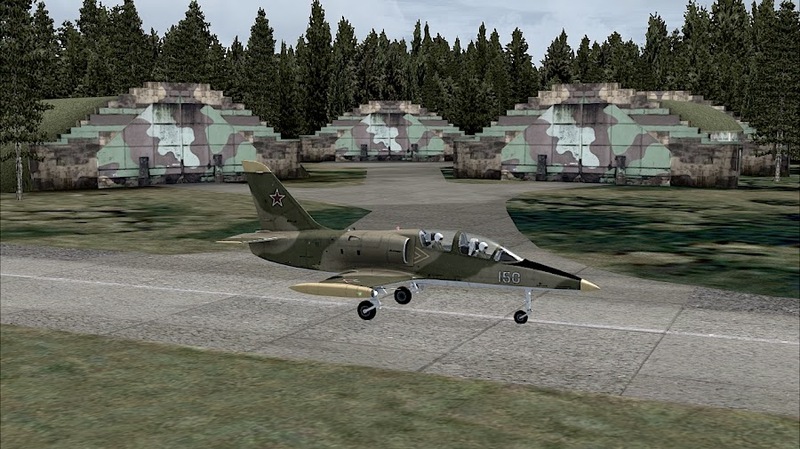 There are few well designed air base sceneries for Flight Simulator X and the number of military planes grows. 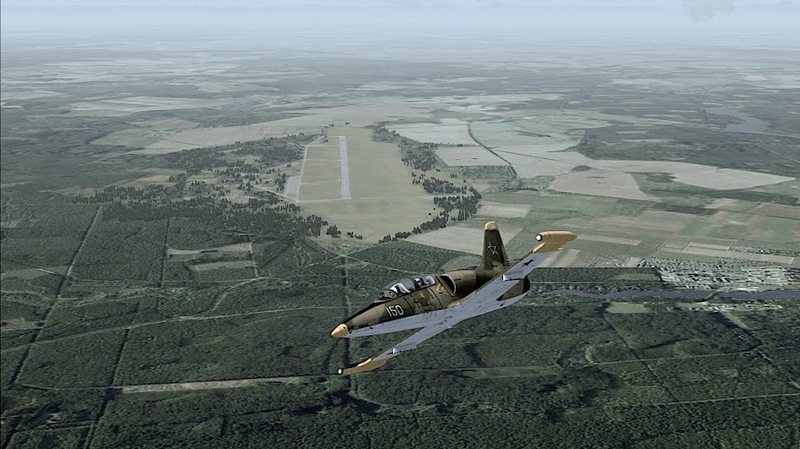 I am very happy to share this review with you and promote this great freeware scenery. 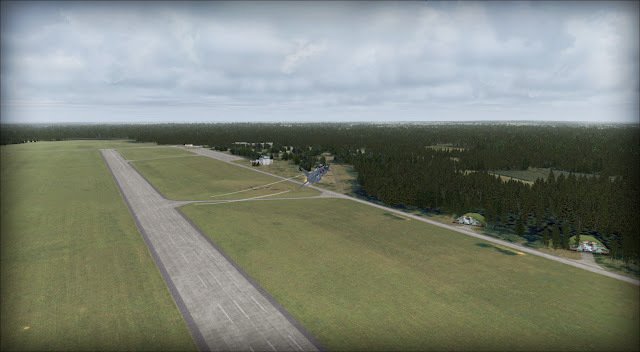 You can download Zegrze Pomorskie by Paweł Aziukiewicz from Avsim. You probably wonder how to pronounce this Polish name… Play both parts in Forvo. 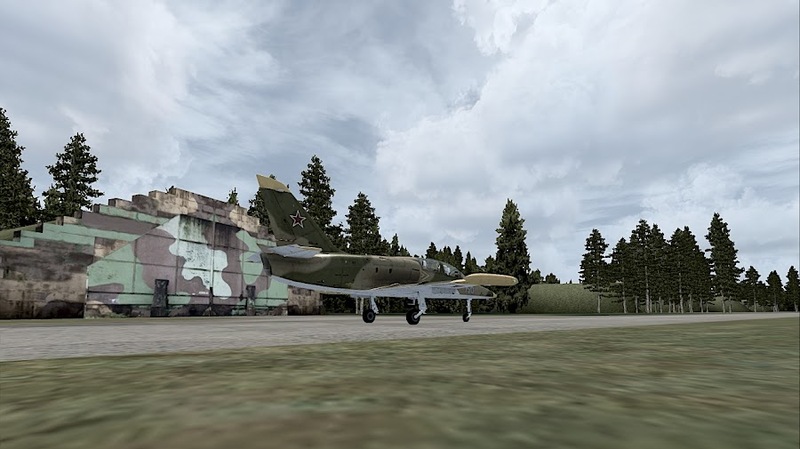 An air base in Zegrze Pomorskie was built due to political tensions during the Korean war. In 1951 plans were drawn and accepted and two years later the first combat unit was transferred to the new base. 26th was a newly created Fighter Regiment and it’s transfer coincided with a switch from Yak-18 trainers to MiG-15 jets. A few years later a new plane – Lim-2 (Polish version of MiG-15bis) was introduced. The regiment attained full operational readiness in 1955 – two years after the Korean war ended (in a truce) but the Cold War was far from over. Next years brought new planes – Lim-2s were relieved by Lim-5s and MiG-17s and in the sixties by MiG-21s. Fishbeds stayed with the unit until it was disbanded (although many versions of MiG-21 were in use during the next decades). 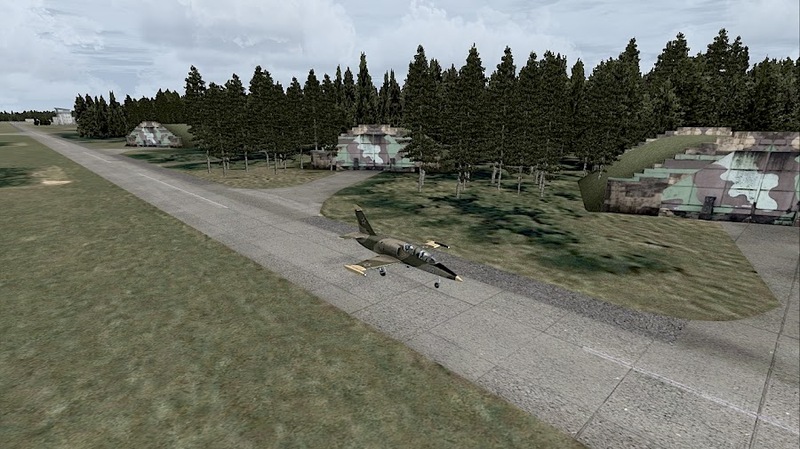 As East German and Hungarian Air Force practiced on polish bombing ranges – their pilots used Zegrze as their base. 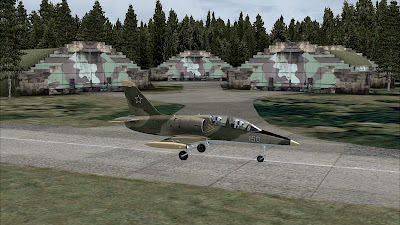 In nineties Dutch F-16 and Hungarian MiG-29s visited this base. Peculiarly – as the alliances changed – the Hungarian pilots always came here as allies. Units stationed here were disbanded in 2002 and this is how the military history of this airport ended. In the sixties a civilian Koszalin Airport was created in Zegrze and LOT Polish Airlines operated regular domestic routes to and from here using Li-2 (a Soviet license built DC-3) and Il-14 passenger planes. Later An-24s, Il-18s and Tu-134 jets landed here. In 1991 all operations were suspended as they were uneconomical. 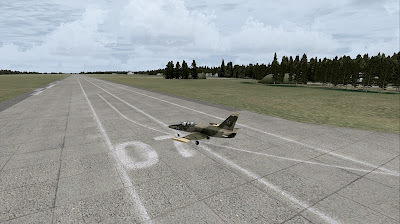 For last ten years Koszalin Aeroclub is using this airfield. HEMS helicopters of Lotnicze Pogotowie Ratunkowe use it as a base during holiday season. The airport was created according to aerial imagery and has ground foto-textures that change with the seasons. The resolution is high – 30cm/px. Photoscenery is enriched by carefully placed autogen and custom scenery buildings. Both the photoscenery and buildings are on par with payware sceneries. 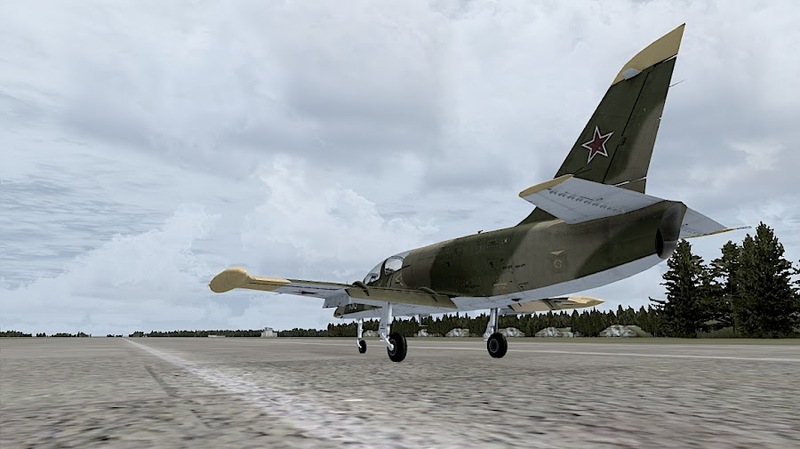 I like how this scenery blends in any surrounding scenery you choose (I tested it with a default scenery and VFR Poland photoscenery). Seamless blending is a feature that even some payware sceneries lack. Another feature that I like are objects. All buildings are well modeled in 3d editor and then “painted” with realistic textures imitating real materials and colors. It would be difficult to guess that this is a freeware – I know a lot of payware sceneries that have worse buildings! Hardened military hangars are definitely the best. If I was picky (and I am) I would say that the tower is a little too flat – lacks small details in 3d model. On the other hand – this tower has a complicated shape in real world and I like that it was recreated in the scenery. I spent a lot of time taxiing around this airport (as with many military bases – there are few taxiways and you usually need to cover long distances when taxiing to or from runway. 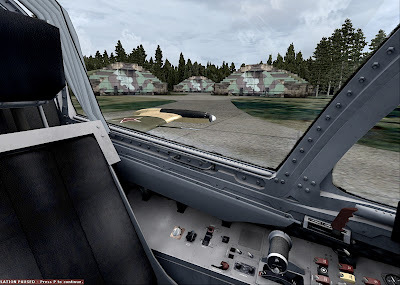 Impressions during taxiing are good – as it was an air force base – the hangars are located all over the place and I was passing them when moving to runway. The only other complain I can have is about the lack of small objects. I would love to see something standing next to the hangar, some equipment or even people. This airport gives us vast possibilities in choosing what to fly realistically. 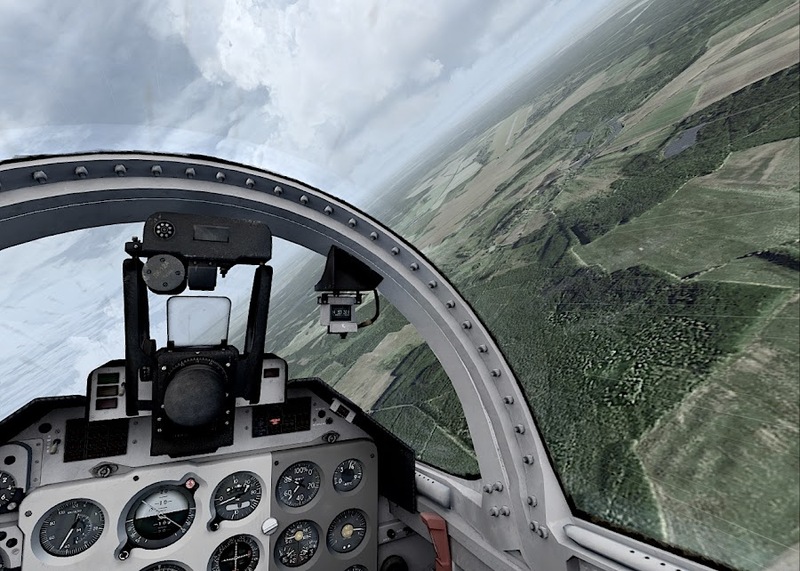 If you intend to simulate military flying – there are almost no limitations among military aircraft. Historically – fighters and multi-role planes operated from here and I love how warplanes look like when parked next to this hangars. 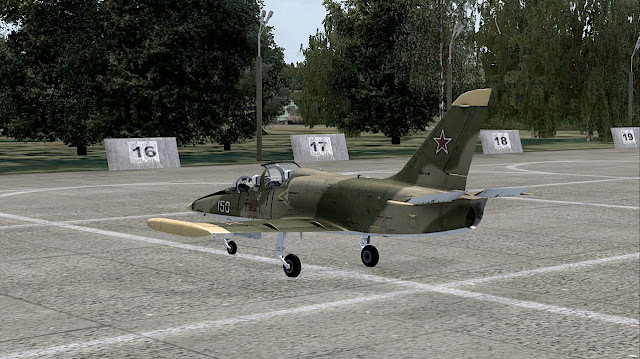 Being as real as it gets you can fly both Cold War Soviet planes and modern NATO aircraft. 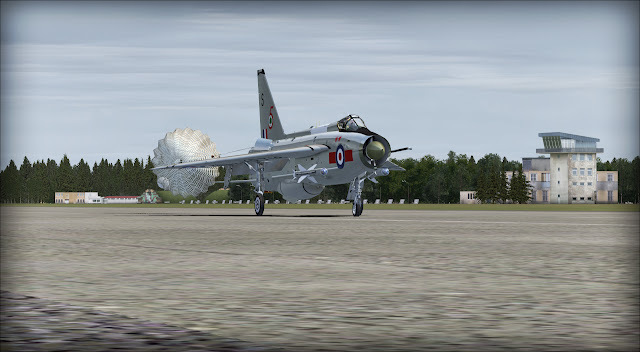 If you are not as strict – a historical NATO fighters will look great – just look at my pictures of Lightning! 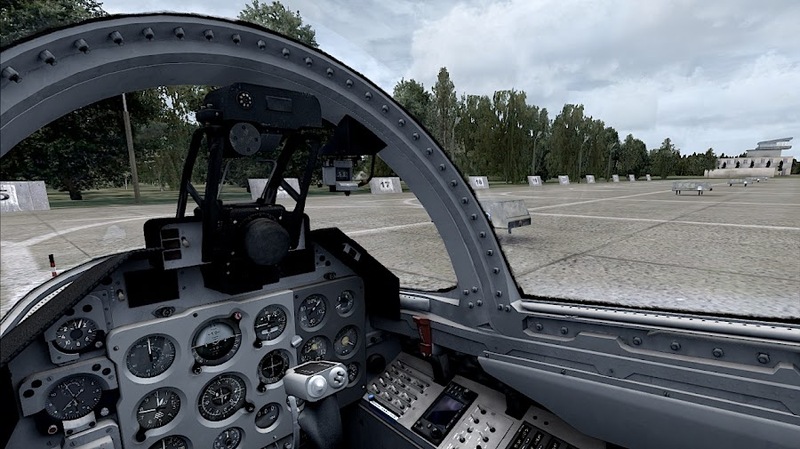 Should you prefer transport planes – every An-24, C-130 or C-27J will look the part when parked here. 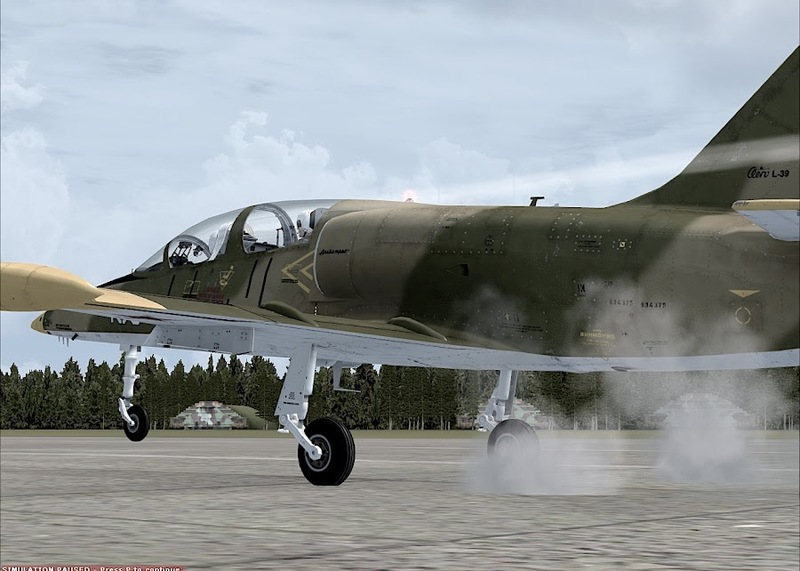 Often I fly L-39 trainer – an equivalent of TS-11 Iskra that were deployed to Zegrze in the past. 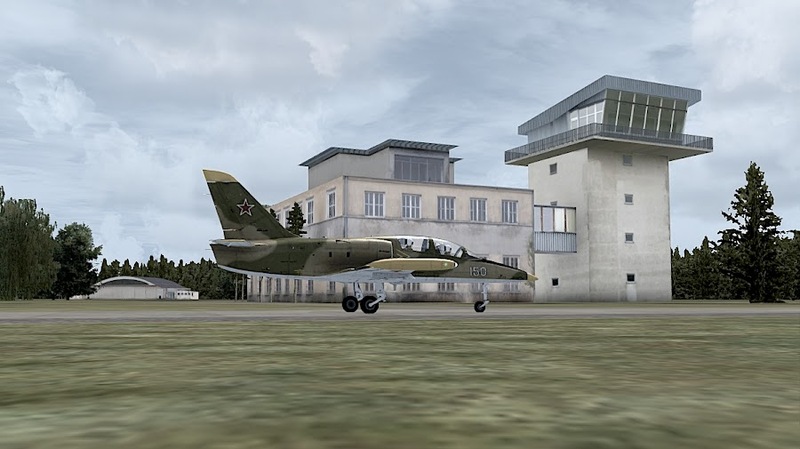 If you are looking for destinations – take a look at Skyvector VFR map of Poland. Most of this D and TSA zones on the Polish coast are actually military training areas. As many foreign planes visited Zegrze – you may consider flights to Germany, Hungary, Czech Republic or Denmark. 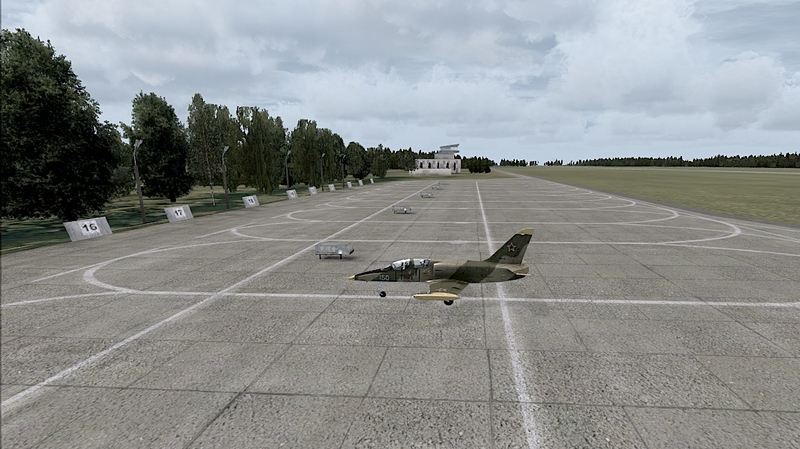 The remains of the civilian airport are not impressive but nothing stops you from flying a 737 or Dash-8 into this airport. 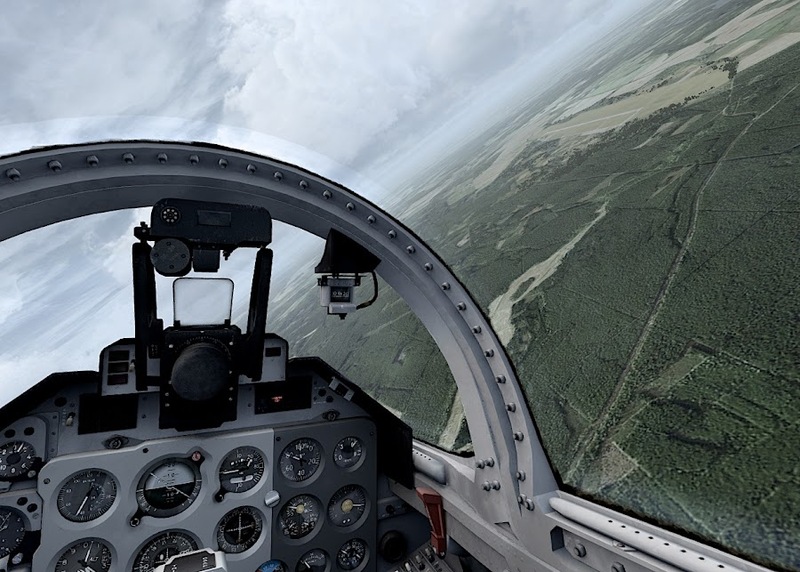 Just remember – it has no IFR procedures so you will need to land visually. Check the weather! 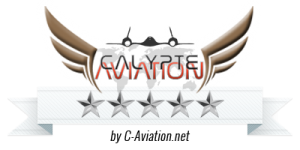 For general aviation pilots there is plenty of space on the airport and lots and lots of destinations – from polish airports and airfields to aerodromes on the Swedish or Danish coast of Baltic. 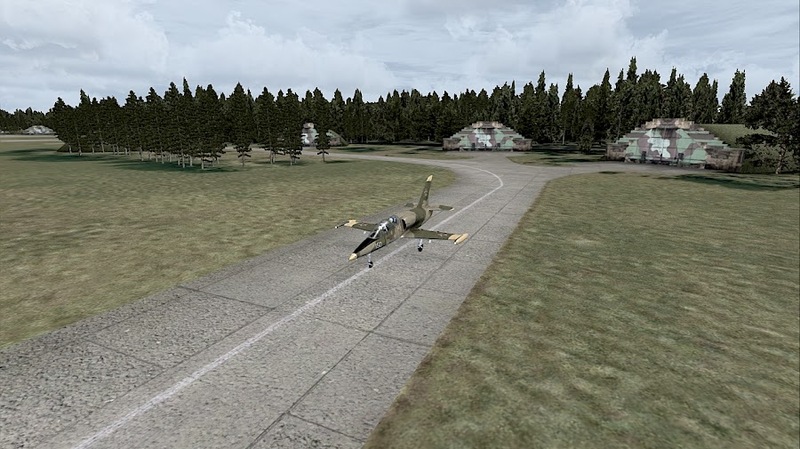 I also recommend Heringsdorf freeware airport in Germany. I will review it soon! 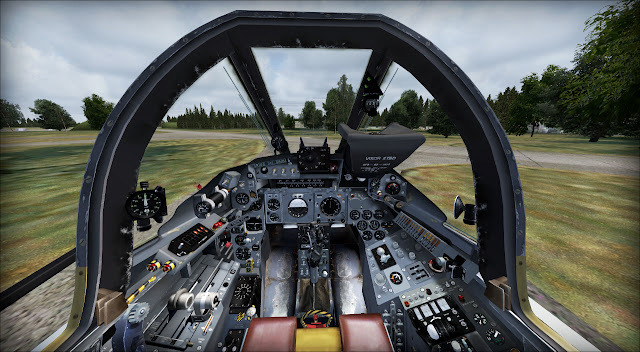 You need to download a large (>200MB) file and manually install it into your FSX. In terms of performance it works like a dream. There is a manual where you will find information on how to install it, and an explanation on how the seasons work. Also the copyrights are mentioned in this manual. Zegrze Pomorskie requires FSX SP2 or Acceleration, or FSX:SE. 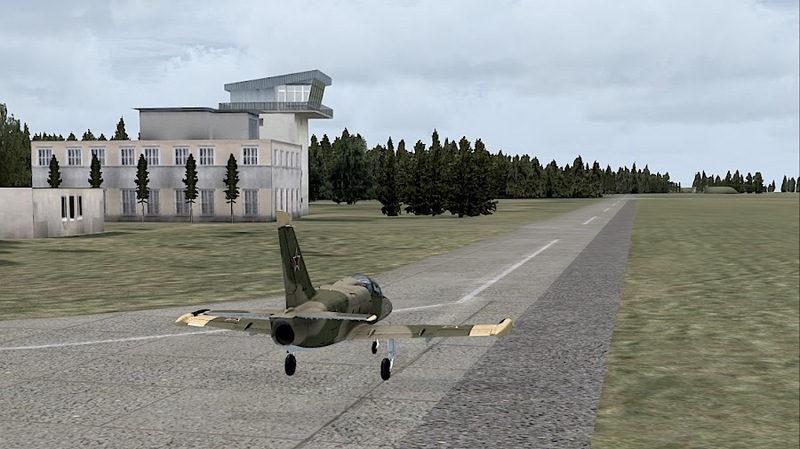 I tested it for compatibility with VFR Poland photoscenery – it works great – just as with the default scenery. If you are a military pilot – you should definitely try this scenery! 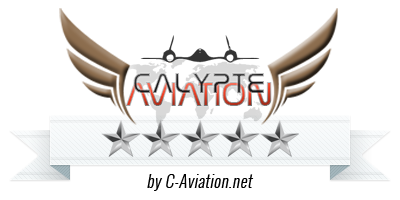 For all general aviation pilots it is highly recommended. It’s free so you can just try it and I am sure that you will be satisfied.